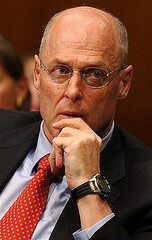 See the gallery for quotes by Henry Paulson. You can to use those 6 images of quotes as a desktop wallpapers. One of the most constant aspects of American life is change - and nowhere is it more evident than in our financial markets. 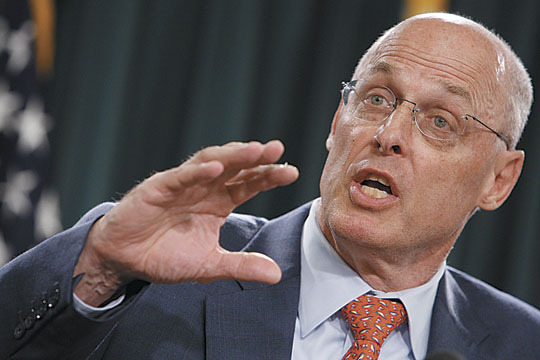 There is a very real danger that financial regulation will become a wolf in sheep's clothing. Too often, we restrict trade that would create U.S. jobs and is in our national interest. We've had crooks from the beginning of time... it's always very interesting and troubling why good people do bad things. When you have a big, ugly problem, there's never going to be a neat, elegant solution that is totally painless or without a cost. A single agency responsible for systemic risk would be accountable in a way that no regulator was in the run-up to the 2008 crisis. With access to all necessary information to monitor the markets, this regulator would have a better chance of identifying and limiting the impact of future speculative bubbles. A state-based regulatory system is quite burdensome. 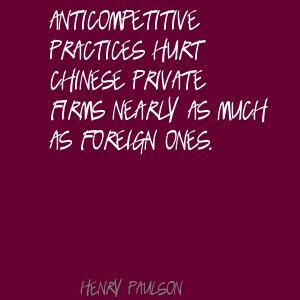 It allows price controls to create market distortions. It can hinder development of national products and can directly impact the competitiveness of U.S. insurers. As Americans, we shouldn't like bailouts. Where I come from, if someone takes a risk and they're going to make the profit from that risk, they shouldn't have the taxpayer pay for the losses. As I talk with the Chinese on currency, I encourage them to move much more quickly with opening up their capital markets to competition, because I don't believe the world is going to give them as much time as they would like. Foreclosure is to no one's benefit. I've heard estimates that mortgage investors lose 40 to 50 percent on their investment if it goes into foreclosure. 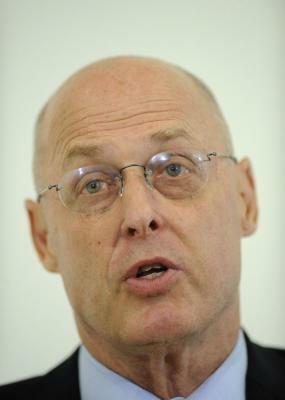 Much more quotes by Henry Paulson below the page. From the beginning of time, we've had financial crises. People always blame the banks and for good reason. When you look for the root causes, they're almost always failed government policies. I've been through periods of stress, turbulence in the market for over the course of my career, various times, and never in any of those other periods have we had the advantage of a strong economy underpinning the markets. In the past, if a homeowner with a mortgage had a problem making the payment, often he'd get together with a lender and strike a deal, because foreclosures are very expensive to the lender and obviously not good for the homeowner and the community. India is one of the world's largest and most peaceful states with advanced nuclear technologies and has been isolated from the rest of the world on nuclear issues. The U.S. and China need to take steps - mostly individually, sometimes together - that will have the mutually beneficial effect of supporting and sustaining economic growth. U.S. exports to China have more than quintupled since China entered the WTO and have grown more quickly than imports. In fact, China is America's fastest-growing export market. When our markets work, people throughout our economy benefit - Americans seeking to buy a car or buy a home, families borrowing to pay for college, innovators borrowing on the strength of a good idea for a new product or technology, and businesses financing investments that create new jobs. 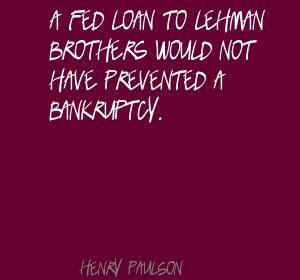 A Fed loan to Lehman Brothers would not have prevented a bankruptcy. China and the U.S. are the two largest importers of oil. They are the two largest emitters of carbon. China saves too much, produces too much, sells too much to Americans and consumes too little. Every global concern - economic, environmental or security-related - can be addressed more effectively when the U.S. and China work together. 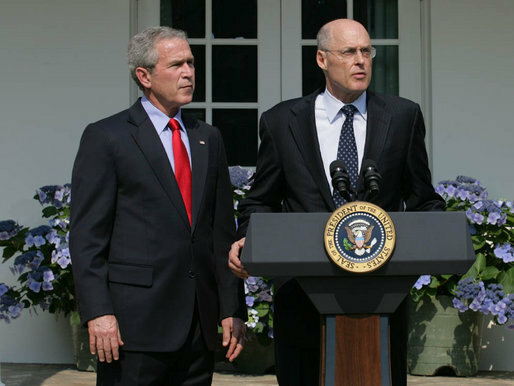 I never once considered that it was appropriate to put taxpayer money on the line in resolving Lehman Brothers. I'm a straightforward person. I like to be direct with people. I'm telling you that there is no silver bullet to keep home prices from going down or to prevent all foreclosures. I've never been antiregulation. I've always believed that raw, unregulated capitalism doesn't work. If the financial system collapses, it's really, really hard to put it back together again. If you've got a bazooka, and people know you've got it, you may not have to take it out. In just about every area of society, there's nothing more important than ethics. 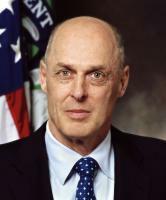 It is the policy of the federal government to use all resources at its disposal to make our financial system stronger.